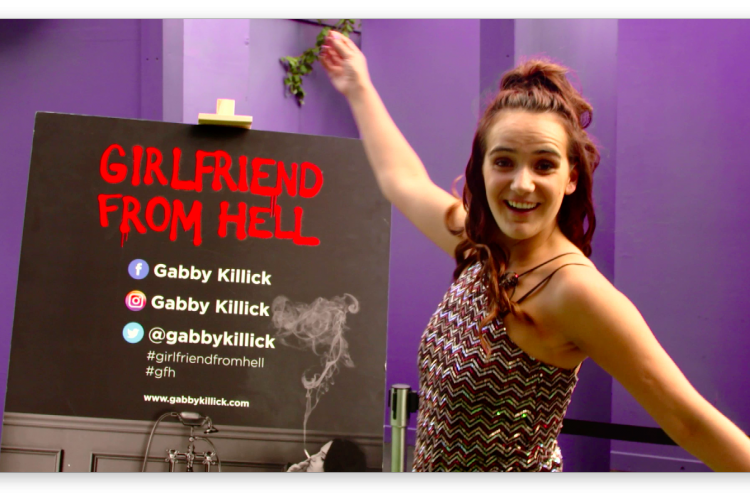 Girlfriend From Hell – Bringing up all the shi*t.
Although just two years out of Drama School, Gabby’s latest comedy show, “Girlfriend From Hell”, has been taking the world by storm. 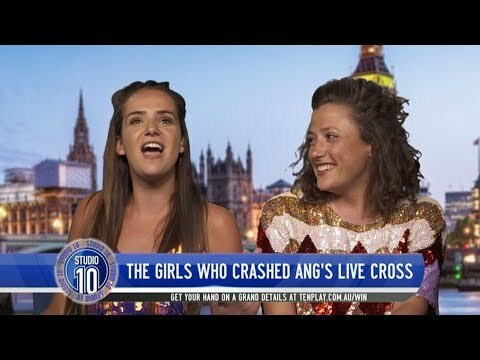 It’s been listed by the Funny Women organisation as one of their top three shows and was rated a top ten show at the Edinburgh Fringe by the Edinburgh Evening News. It’s also played to packed houses in venues as far away as Barcelona, Vienna and Hamburg. 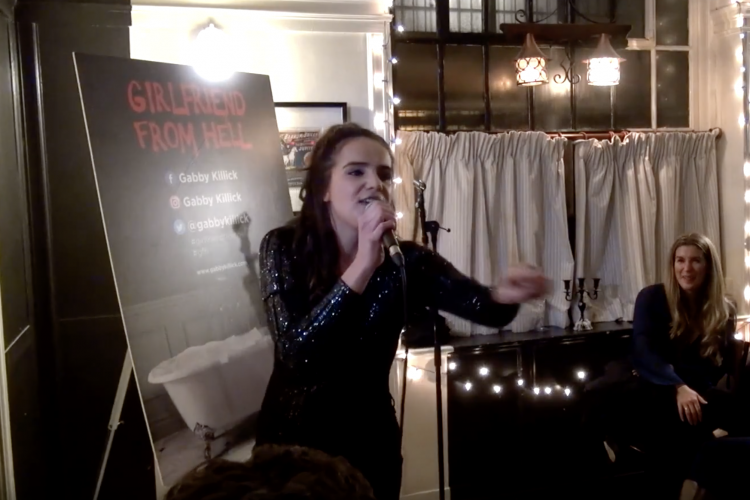 But Gabby hasn’t forgotten her acting roots either. She currently has leading roles in two new British features films, “No Fruit At The Bottom” and “Down On The Upside”. Both are due for theatrical release in the next twelve months. 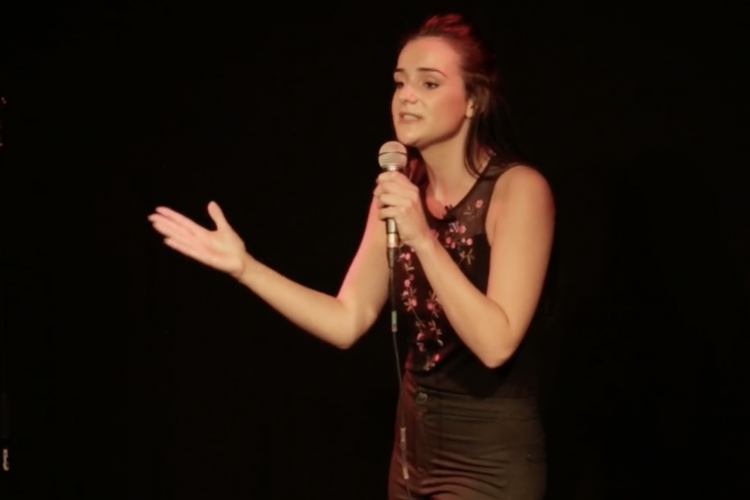 Gabby left the Birmingham Conservatoire in the summer of 2015 and immediately won the “Best Newcomer” award for her performance in “The Morning After”. 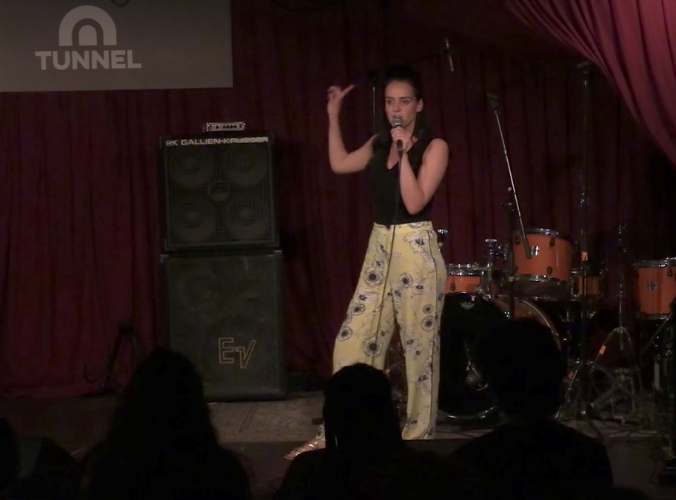 She also received rave reviews for her performance as Lucy in “Dracula” at the Attic Theatre in Stratford Upon Avon and at the Camden Fringe.